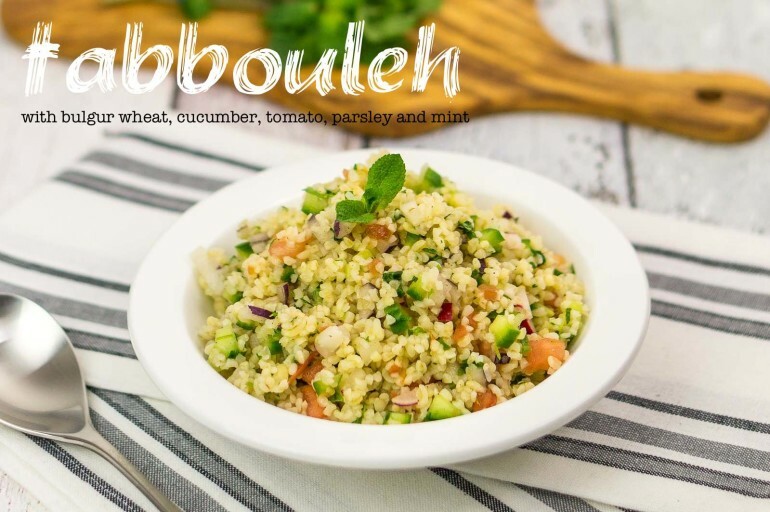 Delicous and refreshing tabbouleh salad with tomato, cucumber, red onion, garlic, fresh parsley and mint, dressed with olive oil and lemon juice. 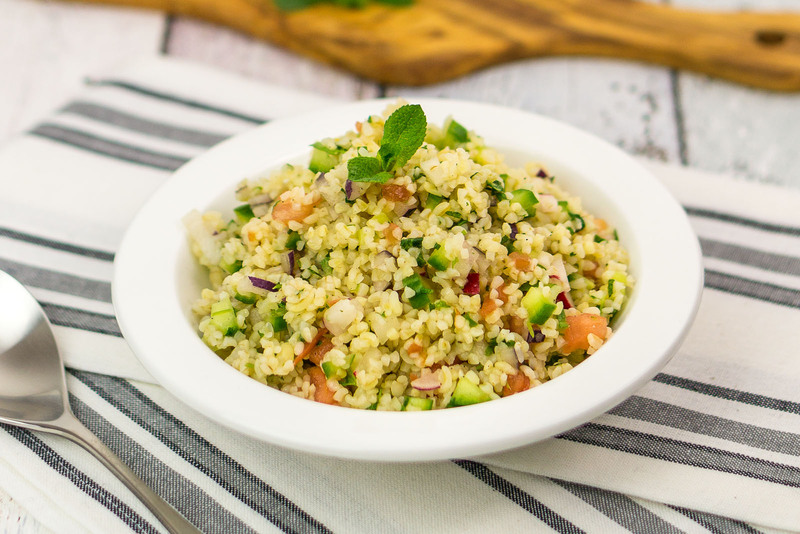 Tabbouleh is a traditional Arab salad typical for the Levantine kitchen. It’s usually served as a part of a mezze along with hummus and baba ganoush. 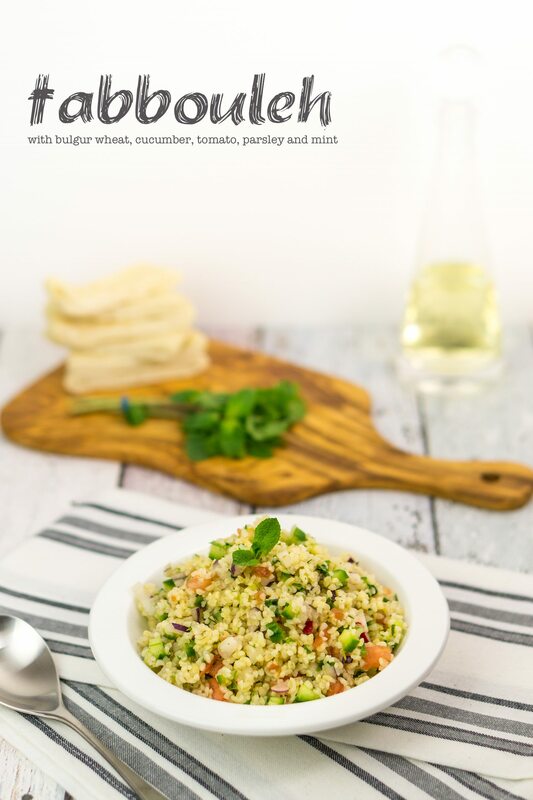 Originally it’s prepared from bulgur wheat, tomatoes, cucumber, red onion and plenty of fresh herbs – mint and parsley. Some local variations use cous cous instead of bulgur. We enriched the original recipe with some chopped radish. 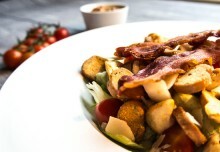 Tomatoes need to be “meaty”, flavoursome and aromatic. They need to be peeled – dip them in a hot water for a couple of minutes and the skin should flake easily. Serve on its own with warm pita bread or as a side dish. It goes really well with grilled chicken breast. Decorate with parsley or mint leaves. Enjoy! Let us know what you think. 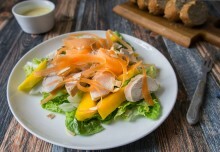 Simply, leave a comment below the recipe! If you’d rather contact us directly, please use the provided contact form. You can also drop us a line via e-mail! Bulgur wheat can be replaced with cous cous. Do you like our recipes? 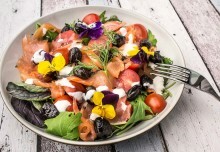 Follow us on Facebook, to have our delicious ideas, inspirations and recipes delivered directly to your wall! Don’t forget to share them with your friends! Cook the bulgur wheat according to instruction on the packaging, drain and put aside to cool completely. Dip the tomato in a bowl of hot water for 2 - 3 minutes, remove and peel, cut in quarters, remove and discard all seeds then chop. Using a teaspoon remove all seed from the cucumber and chop into small cubes. 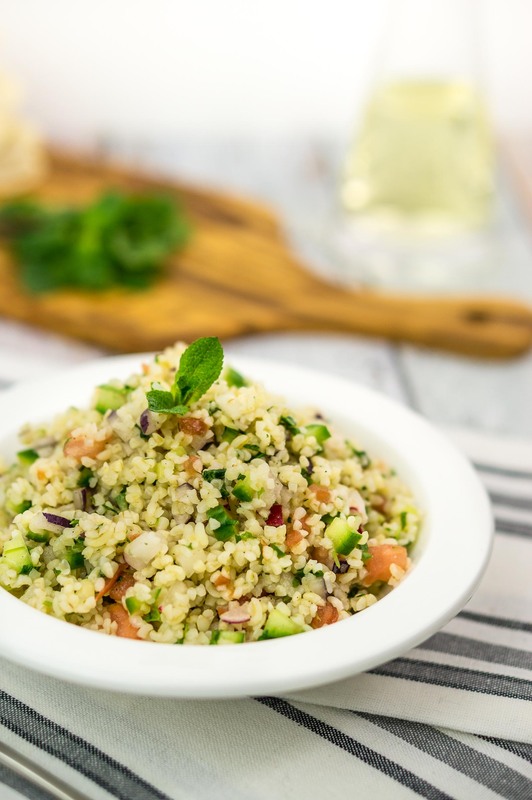 Place the bulgur wheat, chopped tomatoes, cucumber, radishes, onion, garlic, chopped parsley and mint in a large mixing bowl. Dress with lemon juice and olive, season to taste with sea salt and pepper and mix well. Serve with warm pita bread decorated with some additional mint leaves. We cook, we taste, we rate! 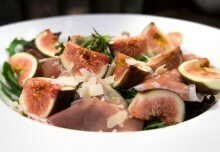 All recipes on this website have been cooked, tasted and rated. Cooking times may vary depending on appliance. All ratings are subject to individual taste.